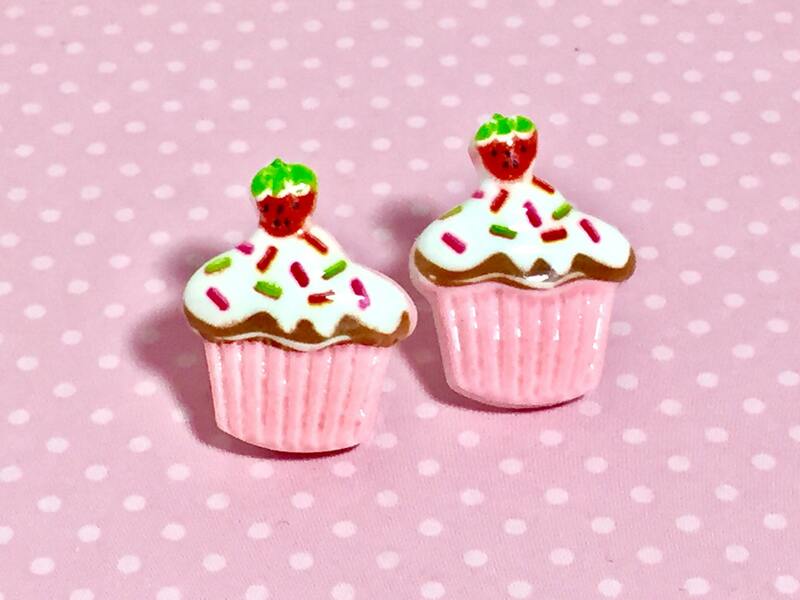 These super fun detailed cupcakes have a pink wrapper base, white icing, red and green sprinkles, looks like chocolate sauce under the icing, and a cute strawberry on top. 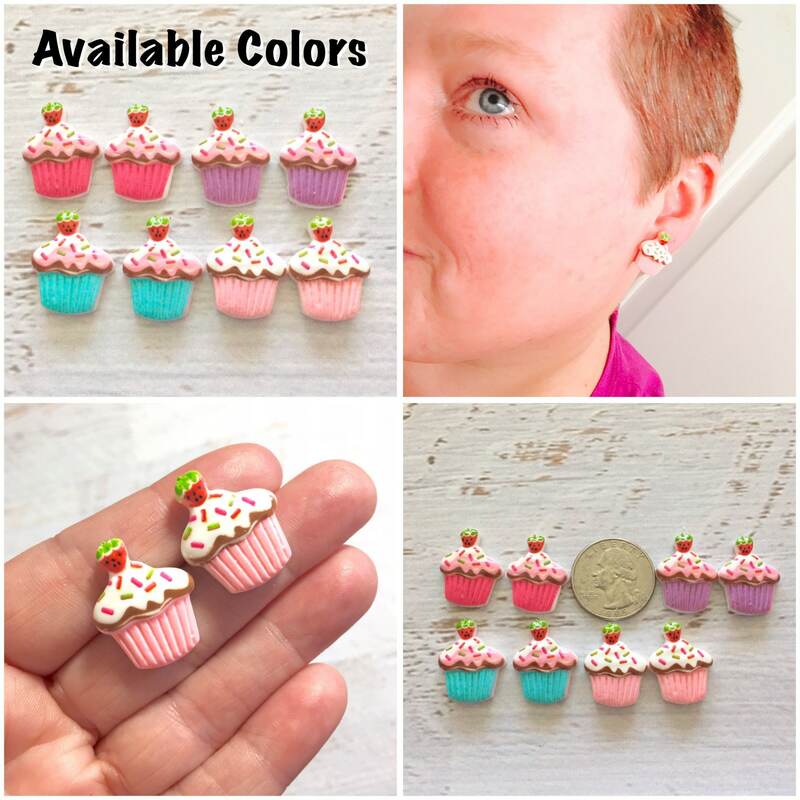 These earrings are larger then I normally make at 0.87 inches (22mm) tall and 0.67 inches (17mm) wide. 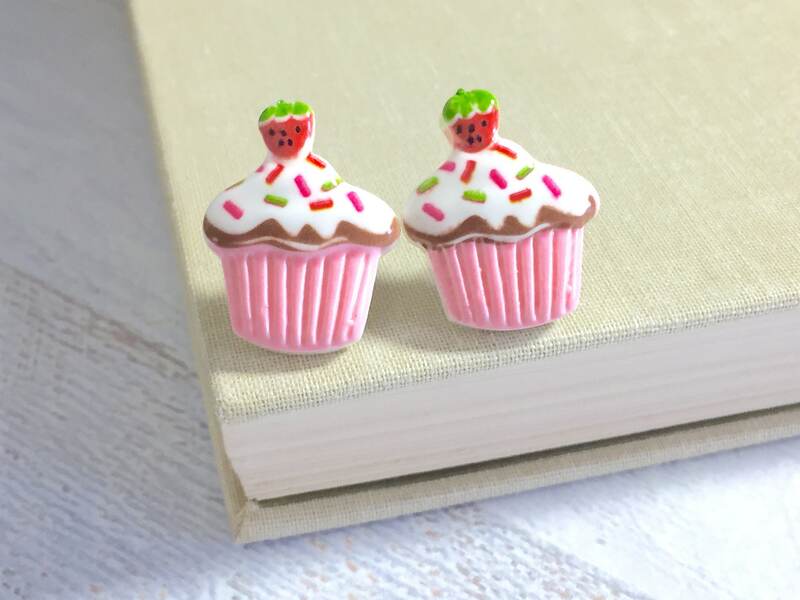 I have securely attached these cute cupcakes to stainless steel ear studs. 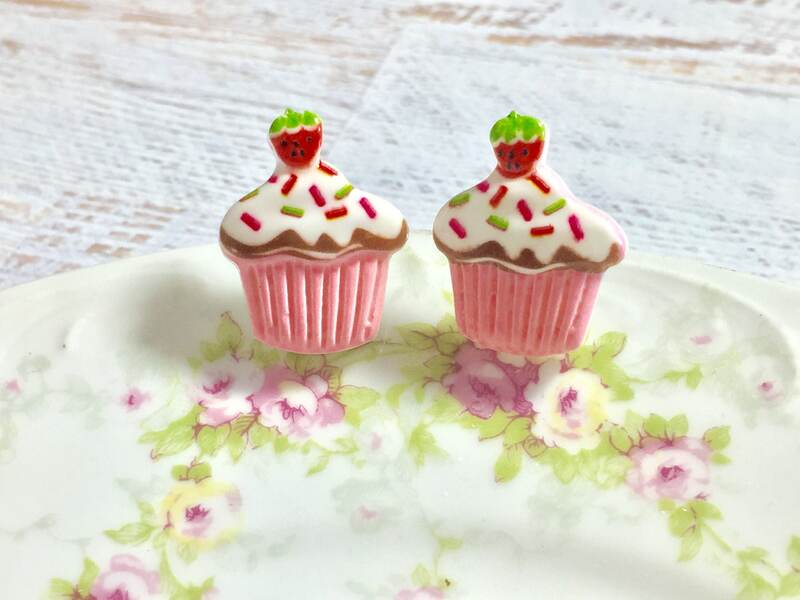 Please note: due to the nature of how these are made there are slight variations between each cupcake. While they will not 100% match, they will be very close.